BuyWell.com, a division of EPIC Health Group, is excited to announce the expansion of its BuyWell CARE platform to become Canada's first fully-integrated health services offering. to consumers ensuring both affordability and accessibility. Through BuyWell CARE, patients are able to access EPIC Health Group's physicians, nurse practitioners, and other healthcare professionals. 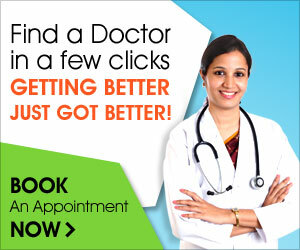 Its services are available both online and through its growing network of medical clinics. BuyWell CARE is the first to offer medical cannabis coverage - even providing patients with a savings calculator and offering members cash savings of 15% or more on medical cannabis prescriptions. BuyWell CARE is also launching coverages to include a wide range of paramedical services throughout its clinical network. BuyWell CARE enables patients to connect directly with clinicians who provide health and wellness assessments. Patients may also self-refer through BuyWell CARE's online form or elect to receive a referral through a primary care physician. As BuyWell CARE members, patients become eligible for significant cash savings through current medical cannabis coverages offered. "At BuyWell, we understand that every wellness journey is different. For this reason, we have expanded our platform to bring together a wide array of multidisciplinary healthcare services including naturopathic medicine, nutrition, dietitians, wellness practitioners and medical cannabis experts to meet the growing need by Canadians for complete health & wellness solutions," says Amanda LeBlanc, Co-Founder of BuyWell.com. BuyWell is a revolutionary e-commerce marketplace providing access to thousands of high-quality, health & wellness products along with healthcare services and affordable coverage options available to members of the BuyWell CARE program. BuyWell CARE has been created understanding that the cost of healthcare treatments is often a barrier for patients to afford treatment plans prescribed by their healthcare practitioners. BuyWell CARE brings together the best experts, curated products, healthcare services, coverage options under a unified platform to provide patients with a full-circle approach to health and wellness.